Visual Studio .NET 2003 uses the environment variable called VS71COMNTOOLS. 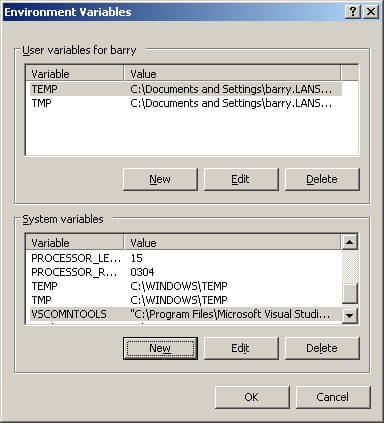 But for Visual LANSA V10 the environment variable is VSCOMNTOOLS. Hence you need to set VSCOMNTOOLS to have the same path as VS71COMNTOOLS. VSCOMNTOOLS = "C:\Program Files\Microsoft Visual Studio .NET 2003\Common7\Tools"